The ESV Global Study Bible is a one-volume study resource for globally minded Christians everywhere. It has been designed from beginning to end to be highly accessible and priced for distribution on a global scale. Each book of the Bible begins with an introduction, followed by a unique, insightful description of the overarching message of the book. The Bible also features a set of articles by Christian leaders around the world who apply the Bible to global issues, such as the role of government, the nature of the church, world religions, social ethics, and missions and evangelism. The notes and maps were adapted from the best-selling ESV Study Bible and contain a wealth of information about the biblical text, history, and geography. 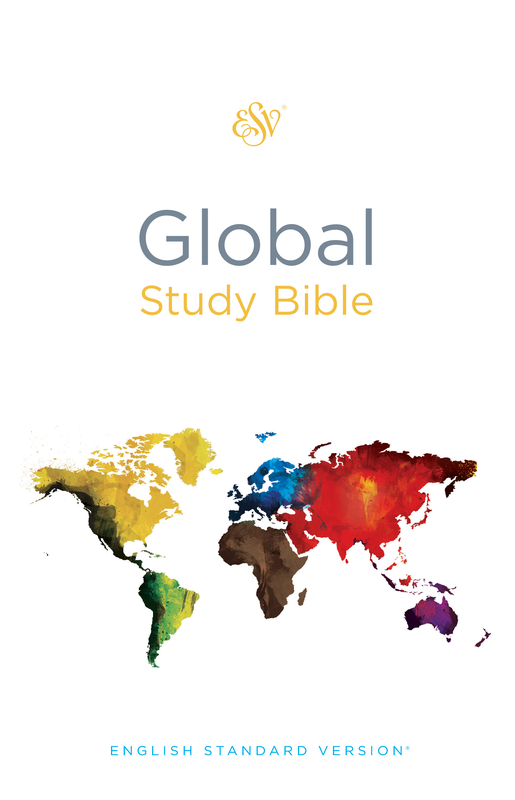 The Global Study Bible is an outstanding resource at an extremely affordable price for Christians everywhere who seek to know and understand the Bible and how to apply it in a global context.